« Spring Breakfast with Ramps—yes, please! I love tiramisu. Made of mostly mascarpone and eggs it’s light and satisfying and surprisingly easy to make. The strong coffee gives it its name, which means “pick-me-up” in Italian. I got a craving yesterday so I biked to the Park Slope Food Coop where Vermont Creamery mascarpone is only $3 for an 8-ounce container (you need two of those for this recipe). 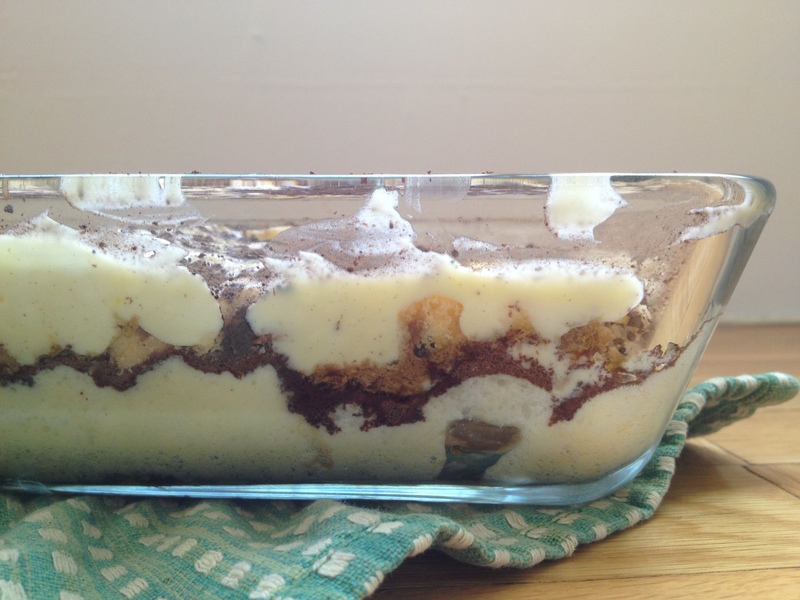 I made tiramisu back in March for my birthday with the very simple, straightforward recipe from The Silver Spoon. 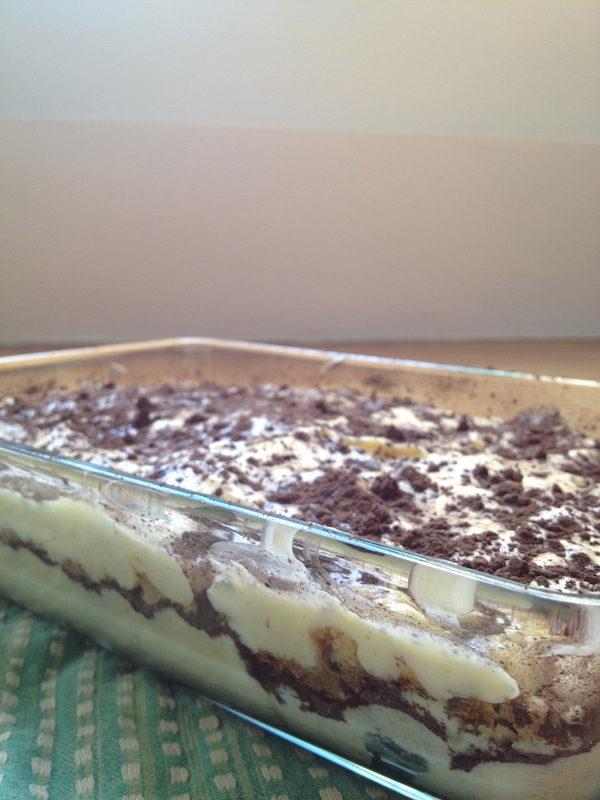 (Ingredients: eggs, sugar, mascarpone, lady fingers, coffee, chocolate. That’s it.) I liked it but found the lady fingers weren’t spongy enough, it was a little too sweet, and it lacked the taste of a liqueur like rum or cognac. I rarely have liqueur in my kitchen so I used vanilla extract which isn’t quite the same but was an improvement. I’ve tweaked the recipe here and am pleased with the results. *If you don’t have any you can also add up to 1 tbsp good quality vanilla extract. Brew the coffee and make sure it is room temperature or colder. Stir in the rum or cognac if you’re using. Set aside. Whisk the egg whites in a grease-free bowl until they form stiff peaks. 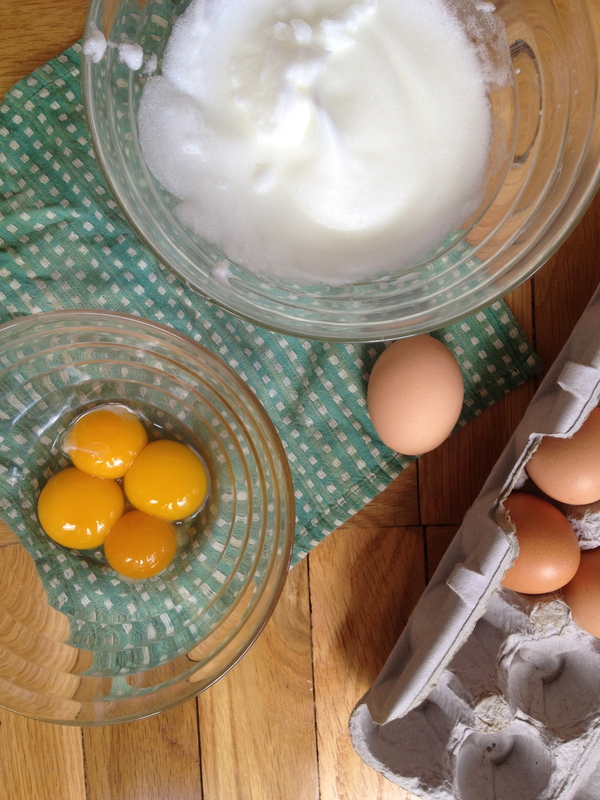 In a separate, large bowl, beat the egg yolks with the sugar until pale and fluffy. Place the mascarpone in a separate bowl and whisk with a fork until it’s a little lighter and fluffier. Then fold the mascarpone into the egg-yolk-and-sugar mixture. Then gently fold in the egg whites. In a small rectangular or square serving dish (8 x 8 inches is good, or thereabouts) place a layer of lady fingers and soak with half the coffee mixture. You can spoon or brush the coffee on. Spoon on a layer of the mascarpone mixture then sprinkle with the grated chocolate. 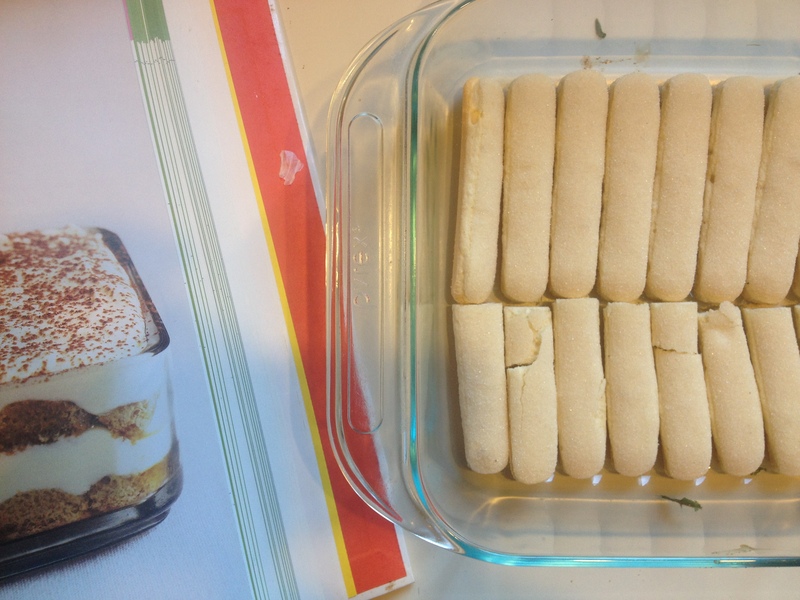 Place another layer of lady fingers on top then soak with the remaining coffee. Add another layer of the mascarpone and finish by dusting with cocoa powder. Chill in the refrigerator for at least a few hours before serving. Be careful with those raw eggs. One of the sickest Elizabeth has ever been was from eating tiramisu in Paris. She ended up in the emergency room with salmonella poisoning. I miss seeing all of you! Hope you are well and happy. Yes, you’re so right Nancy, one does need to be careful with raw eggs! These are from the farmer’s market two days ago so while that doesn’t guarantee safety does make me a little less worried. I never heard the story about Elizabeth in Paris. Awful!